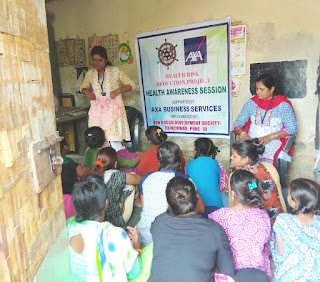 19-July-2018, Chinchwad (Pune): The Don Bosco Development Society (DBDS), Chinchwad organized a health awareness session for the adolescent girls residing in the Indira Nagar slum in Chinchwad. 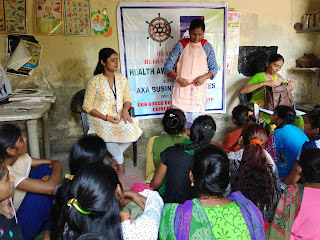 22 girls participated in this event which was held under the aegis of “Health Risk Reduction Project” supported AXA Business Services. 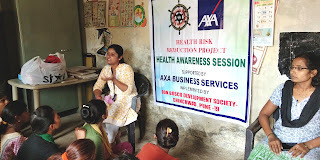 Ms. Lalita Chaudhari (Coordinator-DBDS) was the resource person for this session. The objective of the workshop was to educate adolescent girls on health risks due to life style, diet, nutrition and sanitation. 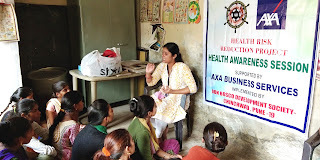 The resource person gave special emphasis on the physical changes, social and psychological changes, vulnerability to reproductive health risks, reproductive health rights, contraceptives, sexually transmitted diseases, sexual abuse, drug and substance abuse etc. After that she covered topics on risks of consuming tobacco. This was followed by a question and answer session in which the participants asked questions which were answered by the resource person. 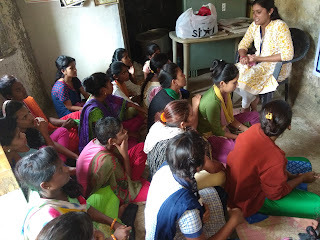 Mrs. Sarika Kadam (Staff -DBDS) did the logistical arrangement for this event and organized girls to participate in this session. 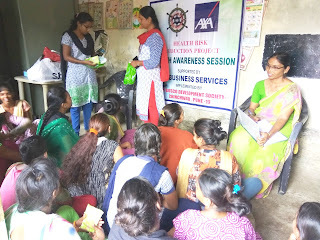 Sanitary napkin and Snacks were distributed to all the girls after the session.